PORTLAND, OR, 05/25/2017 — The bestselling Image/Skybound series REDNECK by Donny Cates (GOD COUNTRY) and Lisandro Estherren is being rushed back to print in order to keep up with overwhelming customer demand. 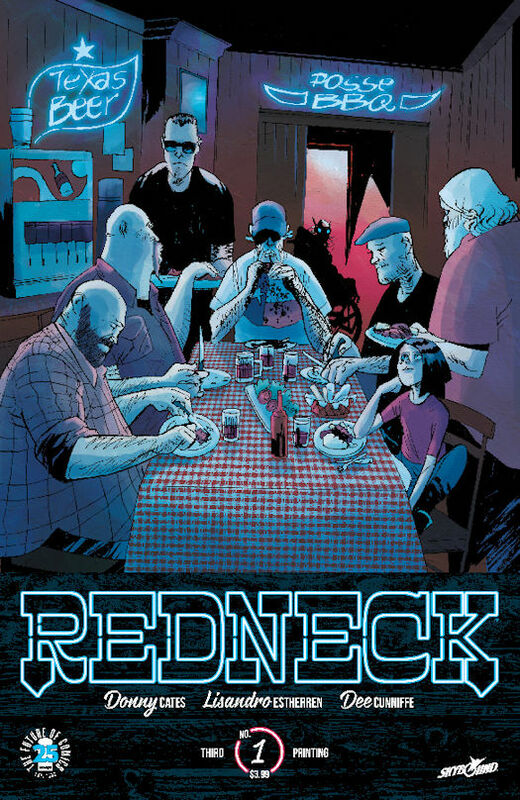 In REDNECK, readers are introduced to The Bowmans—a family of vampires who have quietly run the local barbecue joint in their small town for years, living off cow's blood. Their peaceful coexistence ends as generations of hate, fear, and bad blood bubble to the surface—making it impossible to separate man from monster. 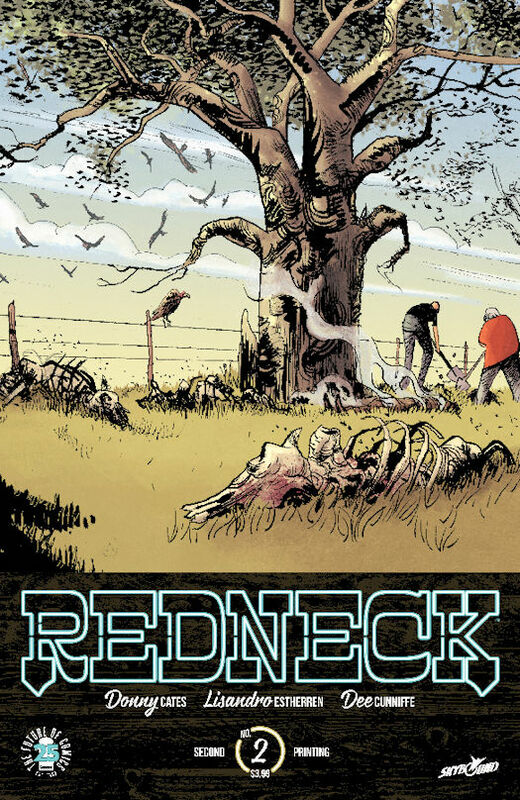 REDNECK #1 and #2 will remain available for purchase across all digital platforms, including the Image Comics website (imagecomics.com), the official Image Comics iOS app, Comixology’s website (comixology.com), iOS, Android, and Google Play. REDNECK #1, 3rd printing (Diamond Code APR178671), REDNECK #2, 2nd printing (Diamond Code APR178672) will be available on Wednesday, June 21st. The final order cutoff deadline for comics retailers is Monday, May 29th. REDNECK #3 Cover A (Diamond Code APR170856) and Cover B Pride Month (Diamond Code MAR178737) will be available on Wednesday, June 28th. The final order cutoff for comics retailers is Monday, June 5th.